A few months ago, a documentary I saw on the Discovery Channel covered some research by Graziano Fiorito and colleagues at the Stazione Zoologica in Naples. They were investigating observational learning in wild Octopus vulgaris with a puzzle-box experiment similar to those demonstrating cultural transmission in chimpanzees. It goes like this: there’s a tasty and terrified crustacean running around in a perspex box that has two possible ways of being opened by hungry octopuses. The experimenters capture a wild octopus (let’s call him Steve) from the harbour (which I’ll get back to in a minute), and they put it in a tank with the puzzle-box. After Steve stares hopelessly at the box for a while, it is then removed from the tank. Steve the kidnapped octopus then gets to watch a captive octopus in the next tank being presented with the same puzzle-box containing the delicious crab. 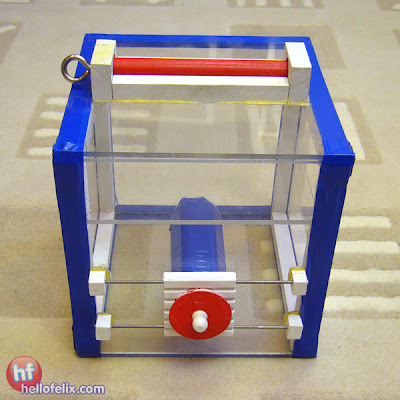 Of course, the captive octopus has been confronted with the puzzle-box enough times that it has worked out a successful solution, and so opens the box like a pro. Steve is then presented with a crab in a puzzle-box again, except this time he goes straight for the crab using the same solution he just learned from the captive octopus. Here is a clip from the documentary, showing a trial of this experiment (NB: not the best quality). It turns out that the papers on this go back as far as Fiorito & Scotto 1992, and it seems this was the first time observational learning had been demonstrated in invertebrates. The reason I’m interested in reporting this is because the documentary I watched explained another possible motivation/interpretation for Fiorito’s work that I can’t find in any of his actual papers. 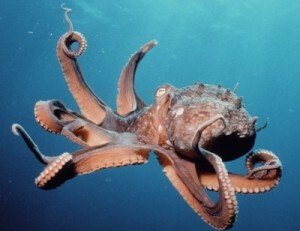 The octopuses used in the experiments were all caught from the harbour at Naples just before the experiments, which of course controlled for any prior experience with the puzzle boxes. But the results were reported as particularly interesting because the Naples harbour had been overfished and disrupted, resulting in an increase in marine predators that eat the small octopus vulgaris as well as fish that the octopuses themselves rely on. These harsher environmental conditions resulted in the octopuses being forced to inhabit a smaller space alongside each other. As a result, young octopuses were frequently exposed to, and even coexisted with, older octopuses. This is a weird situation for an octopus; they usually live solitary lives and never even meet their own mothers, who die of starvation while caring for the eggs (the fathers die within a few months of having mated). The only real interactions are mating, and conflicts between rival males while competing for a mate. Toward the end of the documentary, the voiceover growled against some dramatic music about how the combination of observational learning capacities and increased predation pushing octopuses into groups meant that it was only a matter of time before we’re overthrown by octopus vulgaris. This made me think of Dunbar’s “social brain hypothesis” for the emergence of language, and whether I really should prepare to welcome our new octopus overlords. Talking specifically about primates, Dunbar (1996) states that “[primates] in general exhibit two responses to increased predation: they grow physically bigger [or] they increase the size of their groups” (p.110). In order to maintain these groups, that are essential for survival in harsh ecological conditions, Dunbar suggests that standard primate grooming behaviour becomes too time consuming and costly in order to keep up with the rapidly expanding social group, creating a pressure for a more efficient method of bonding and communicating that allows the size of the group to continue increasing. Again with reference just to primate communication, Dunbar says “This [efficient mechanism] need not have involved any dramatic change, for as the studies by Seyfarth and Cheney have shown, primate vocalizations are already capable of conveying a great deal of social information and commentary.” (p.115) In addition to primates, and adding further credence to this idea, it’s been shown that the older Matriarchs of elephant groups make use of vocalisations to seemingly instruct their group on how to fend off lion attacks (McComb et al., 2011; previous Replicated Typo coverage here). It seems to me that the difference between the primates/elephants and the octopuses is that the former endeavour to actually enrich the environment from which their conspecifics extract information; they don’t just learn, they inform. As far as we can tell, there is no such communication like this – that is, enriching the environment in some way that helps other octopuses learn or survive – happening among the octopuses. That said, we know from mating displays and conflicts that cephalopods can communicate with chromatophore signalling. As an interesting aside that is reflective of their cognitive abilities and capacity for suffering, octopuses are treated as honorary vertebrates by UK animal testing laws. It’s interesting enough that marine biologists (or at least those reporting on marine biologists) seem to have the same idea as Dunbar about the necessary preconditions for successful societies of animals, but why not let’s get wildly speculative? If (..!) existing in groups is in fact adaptive for these octopuses in the face of increased predation, and the competition between them for resources isn’t too great a counter-factor, it seems the only ingredient missing from an octopocalypse is the emergence of some cooperative behaviour. Someone should keep an eye on that harbour. Fiorito, G. & Scotto, P. (1992) “Observational learning in Octopus vulgaris” Science 256, 545-546. McComb, K., Shannon, G., Durant, S., Sayialel, K., Slotow, R., Poole, J. & Moss, C. (2011) “Leadership in elephants: the adaptive value of age” Proceedings of the Royal Society B, published online. A somewhat contentious debate among the behavioural sciences is currently underway concerning Mayr’s division of causal explanations in evolutionary theory. Here I’m going to give you a brief rundown of two papers in particular, before I chip in my two-cents about how other insights from the theoretical literature can inform this debate. It seems the discussion is just getting started with respect to cultural evolution, so it’d be interesting to hear other peoples’ comments from either camp. Over the years, evolutionary theorists have tried to make logical divisions between the kinds of things we can ask about, with a view to making it clear what exactly scientific studies can tell us. A dominant paradigm dividing two levels of causation for biological features we see in the world is Mayr’s distinction between ultimate and proximate causes. Ultimate causation explains the proliferation of a trait in a population in terms of the evolutionary forces acting on that trait. For example, peahens that prefer peacocks with larger tails (an honest signal of fitness following the handicap principle) will have stronger or more successful offspring, and so this preference proliferates along with larger peacock tails. Proximate causation uses immediate physiological and environmental factors to explain a particular peahen’s penchant for a large-tailed peacock in a mate choice trial, where the signal of the peacock’s large tail elevates the hormone levels in the peahen and copulatory behaviour ensues. Although the behaviour in both of these examples is the same, the levels of explanation are based on different sets of factors. In Perspectives on Psychological Science last year, a paper by Scott-Phillips, Dickins and West voiced some concerns about these two levels of causation being conflated in the behavioural sciences. In particular, they addressed instances where proximate explanations of traits are being framed as ultimate ones. The paper points specifically to studies of the evolution of cooperation, transmitted culture and epigenetics to illustrate this. Regarding the evolution of cooperation, they point to an instance where ‘strong reciprocity’ (an individual’s propensity to reward cooperative norms and sanction violation of these norms) is purported to be an ultimate explanation of why humans cooperate, rather than a proximate mechanism that enables such cooperation. Table 1 from Scott-Phillips et al. (2011), highlight added. Among the examples was the feature of linguistic structure (see table 1 from paper above), where several studies pointed to the cultural transmission process as an ultimate explanation of linguistic structure. They suggest that cultural transmission constitutes a proximate process, because it gives the means by which linguistic structure is expressed – and this is how cultural transmission contributes to what the linguistic structure looks like. One analogy might be that the vibrating of my particular vocal cords is a proximate mechanism giving rise, in part, to how my voice sounds, rather than an ultimate explanation of why I vocalise. Since an ultimate account must suggest how a trait contributes to inclusive fitness in order to explain its prevalence in humans, they uncontroversially venture that the ultimate rationale for the ubiquity of linguistic structure is that it greater enables communication (and therefore increases inclusive fitness by enabling cooperative activity). An opposing view was later published in Science by Laland, Sterelny, Odling-Smee et al., who suggest that the use of Mayr’s division of ultimate and proximate causation is not helpful to all evolutionary investigations, and even hampers progress. The grounds for rejecting Mayr’s paradigm seem to lie largely in what Laland et al. term “reciprocal causation”. That is, that “proximate mechanisms both shape and respond to selection, allowing developmental processes to feature in proximate and ultimate explanations”. After aligning proximate explanations with ontogeny and ultimate explanations with phylogeny, they suggest that what we may have called ultimate and proximate features are no longer sharply delineated, and that these reciprocal processes mean that the source of selection sometimes cannot be separated. They present an idea from the field of evolutionary-developmental biology that, if a developmental process makes some variant of a trait more likely to arise than others, then this proximate mechanism helps to construct an “evolutionary pathway”. 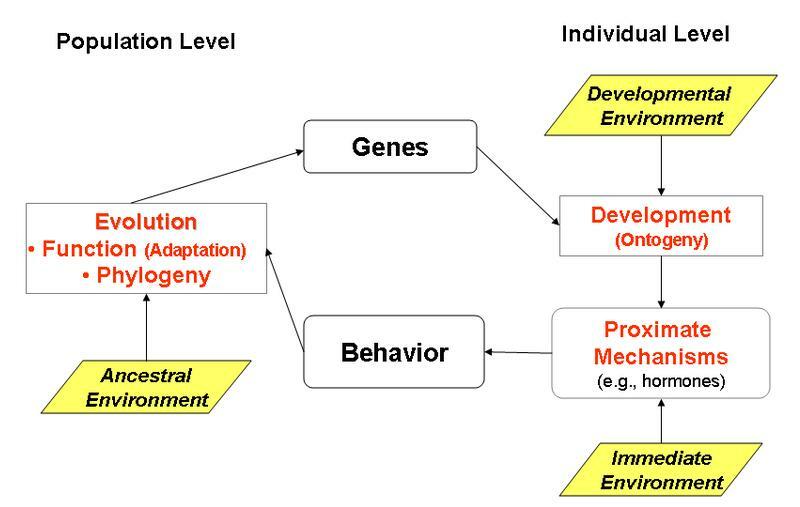 The paper also highlights developmental plasticity, and gene-environment interaction more broadly (see fig. 2 from paper, above), as a process where reciprocal causation offers an evolutionary explanation conceptually comparable to ultimate causation. Talking specifically on the topic of linguistic structure, they present the debate about whether specific design features of language are attributable to biological or cultural evolution. The paper points out that cultural evolution determines features of linguistic structure – for example, word order – and that the existing word order determines that of future speakers. Indeed, at the Edinburgh LEC we know that transmission by iterated inductive inference under general conditions can explain particular structures in languages. That cultural evolution determines the variation between languages, Laland et al. say, provides evidence that it is an evolutionary force comparable to natural selection (and, therefore, ultimate explanation). What follows is a collection of my thoughts on the matter, which are (spoiler alert) largely in support of the Scott-Phillips et al. paper. 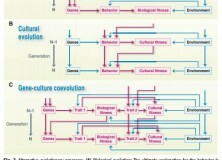 I hope others more experienced in cultural evolution studies than I will contribute their perspective. It seems to me that there are a few assumptions made in the Laland et al. paper that are not quite in line with how Mayr himself understood the paradigm. Perhaps much can be learned from this debate’s previous incarnation, when Richard C. Francis made similar arguments against the ultimate/proximate distinction in 1990. In his critique, he equated ultimate causation with phylogeny and proximate causation with ontogeny – an approach that was rebuked by Mayr in 1993, who made the point that “all physiological activities are proximately caused, but is a reflex an ontogenetic phenomenon?”. Mayr’s response is actually rather unhelpful in addressing the arguments fully, and this statement is particularly dense. But what he is getting at here is the idea that interaction with the environment that gives rise to adaptive behaviours (such as recoiling instantly from a hot stove) is itself subject to selection, and thus constitutes a proximate explanation of causation. Relatedly, he points out that most components of the phenotype are indeed the result of genetic contribution and interaction with the environment, which has been successfully explored in biology within the traditional theoretical paradigm. Ontogeny: Neurons need the stimulation of light to wire the eye to the brain within a critical period (as those awful studies of blindfolded kittens illustrated). Applied to the debate outlined above, it would seem that there is no apparent reason that a process of gene-environment interaction – including the cultural environment – can’t itself be subject to selection, or that developmental plasticity itself is not an adaptation in need of an ultimate explanation. It has long been the case that behaviour is no longer understood as either “nature” or “nurture”, but gene-environment interaction, with varying levels of heredity. The “reciprocal causation” suggested in Laland et al.’s paper, is (as they point out) very common in nature; feedback loops are uncontroversial proximate processes in biology. 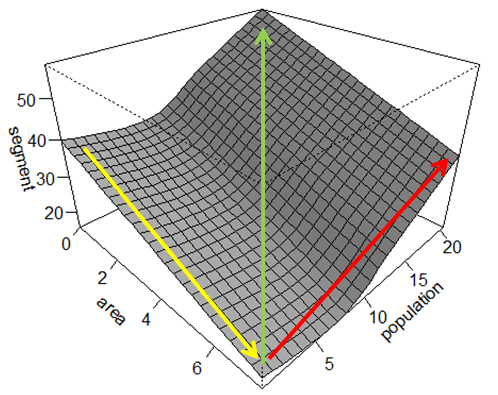 That a proximate process may give rise to a dominant variant of a trait in a population does not explain why it is adaptive, and this points to another problem with the proposing the abandonment of Mayr’s paradigm: a logical division of levels of explanation doesn’t seem to be the sort of thing that can be rendered outdated by empirical evidence. Indeed, claims about the particulars of traits and processes (and languages) themselves are a matter for empirical data – but the theoretical issue about the level of explanation that data is useful for does not itself seem to be subject to empirical findings. The finding that a proximate process such as cultural transmission gives rise to a trait that is prolific in a population is itself exciting and surprising, and even shows us that the pressure for making language easier to learn gives us adaptive languages to learn; however, it could be argued that it is this process that is adaptive, and that the reason why humans so heavily rely on this process is an ultimate explanation. One way of resolving these two perspectives may be to place cultural processes that give rise to variation at the level of what Tinbergen labels Phylogenetic (one subset of ultimate) explanation, as it concerns processes which produce some heightened frequency of traits over a language’s history. An explanation at the level of Phylogeny still must make recourse to natural selection at some point, since variants that result from mutation or drift are retained because of their adaptive value (or an adaptive trade-off). This approach may be a problem for the current understanding, which holds that the features resulting from cultural processes are themselves adaptive and therefore comparable to what Tinbergen labels Function. The problem with this is that calling particular structures of language ‘adaptive’ obscures what it is about Language that is actually being selected for. To flesh out what I mean, I think it’s useful to consult Millikan’s (1993) distinction between Direct Proper Function and Derived Proper Function (… bear with me, it’ll be worth it, honest). The Direct Proper Function of a given trait T can be thought of as a “reproduction” of an item that has performed the exact same adaptive function F, and T exists because of these historical performances of F. Sperber and Origgi (2000) use the illustrative example of the heart, where the human heart has a bunch of properties (it pumps blood, makes a thumping noise, etc), but only its ability to pump blood is its Direct Proper Function. This is because even a heart that doesn’t work right or makes irregular thumping noises or whatever, still has the ability to pump blood. Hearts that pump blood have been “reproduced through organisms that, thanks in part to their owning a heart pumping blood, have had descendents similarly endowed with blood-pumping hearts”. The Derived Proper Function, however, refers to a trait T that is the result of some device that, in some environment, has a Proper Function F. In that given environment, F is usually achieved by the production of something like T. If I unpack this idea and apply it to language, we can understand it as the acquisiton and production of a device that, in this environment, leads to, say, a particular SVO language, T. The Proper Function of adaptive communication is performed by T in this case, but could also be performed by any number of SOV, VSO, etc Ts in other cases. In other words, the Proper Function of this language is not the word order itself, but communication. The word order is the realisation of this device that is reproduced because of the performance of T in a particular environment, but does not necessarily lead to T in the next incarnation of that device (i.e. My child, if born and raised in Japan, will speak Japanese). We see, then, that a proximate process resulting in what a particular language spoken by a given population looks like does not necessarily speak to the evolutionary function. In other words, it is the device that allows the performance of Language that is adaptive, not the individual language itself. One question being asked in the study of cultural transmission is why a particular language looks like it does, while we also know that there are 6000 different versions that perform the same (ultimate) function. I would even argue that asking how proximate processes shape languages is actually the most exciting and interesting avenue of inquiry precisely because it’s so blindingly obvious what the adaptive function of language is. But perhaps the value in this endeavour is somewhat neglected, in part, because of the same impression that Francis (1990) had: “the attitude, implicit in the term ultimate cause, [is] that these functional analyses are somehow superordinate to those involving proximate causes” which would be a shame. It seems to me that the coarse grain of ultimate vs proximate perhaps doesn’t do enough to help complex proximate study to position itself in the wider theoretical framework, and the best way to proceed from this might be to couch explanation in terms of Function, Phylogeny, Ontogeny and Mechanism. I think more fine-grained terminology grants us more explanatory power, in this case. A final question in this debate that came up too many times during discussions with the LEC is: what does keeping the traditional paradigm “buy us”? Well, the first answer to this is consilience with one of the most successful and robust theories in science. The same sentiment has been communicated by Pinker and Bloom (1990), who said: “If current theory of language is truly incompatible with the neo-Darwinian theory of evolution, one could hardly blame someone for concluding that it is not the theory of evolution that must be questioned, but the theory of language”. 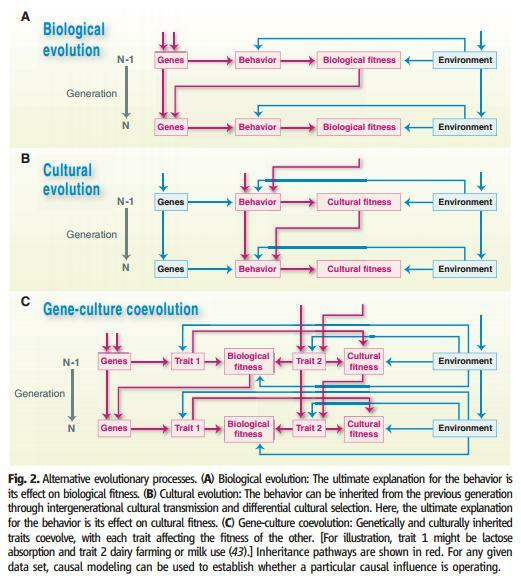 Part of the reason this debate may have arisen is that studies of cultural evolution have used evolutionary theory as an incredibly fruitful way of analysing cultural processes, but additional acknowledgement about how cultural adaptation is different to biological adaptation may be necessary. This difference is an aspect of Laland’s paper (shown in Fig 2) that I think is important, as it’s part of the reason that more nuanced frameworks for cultural evolution are now needed. Without this widespread acknowledgement, cultural evolution may be considered an extension of biological evolutionary theory instead of a successfully applied metaphor. It seems to me that the side of this debate one falls on is well predicted by whether one subscribes to the former interpretation of cultural evolution or the latter. Knowing which level of explanation current work pertains to is a valuable part of evolutionary exploration, and abandoning this in favour of an approach where proximate processes are explanatory ends to themselves may mean the exploration of Function and Phylogeny may suffer. That said, it is telling, I think, that even in seeking to abandon the proximate/ultimate distinction, we must still exploit this existing terminology in order to explain such a position. That natural selection has explained countless adaptations in all living things is certainly not trivial, and to reject the theory giving rise to ultimate explanations as they’re currently defined is to reject this fundamental aspect of evolutionary theory. The big problem seems to be that we’re coming to understand proximate processes as so elaborate and complex, that a more nuanced framework is needed to deal with the dynamics of those processes. I reckon, however, that such a framework can be developed within the traditional paradigms of evolutionary theory. Francis, R.C. (1990) – “Causes, Proximate and Ultimate” Biology and Philosophy 5(4) 401-415. Laland, K., Sterelny, K., Odling-Smee, J., Hoppitt, W. & Uller, T. (2011) – “Cause and Effect in Biology Revisited: Is Mayr’s Proximate-Ultimate Distinction Still Useful?” Science 334, 1512-1516. Mayr, E. (1993) – “Proximate and Ultimate Causations” Biology and Philosophy 8: 93-94. Millikan, R. (1993) – White Queen Psychology and Other Essays for Alice, Cambridge, Mass: MIT Press. Pinker, S. & Bloom, P. (1990) – “Natural language and natural selection” Behaviour and Brain Sciences 13, 707-784. 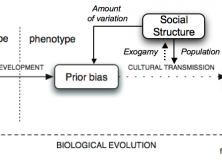 Scott-Phillips, T. Dickins, T. & West, S. (2011) – “Evolutionary Theory and the Ultimate-Proximate Distinction in the Human Behavioural Sciences” Perspectives on Psychological Science 6(1): 38-47. Sperber, D. & Origgi, G. (2000) – “Evolution, communication and the proper function of language” In P. Carruthers and A. Chamberlain (Eds.) Evolution and the Human Mind: Language, Modularity and Social Cognition (pp.140-169) Cambridge: Cambridge University Press. Tinbergen, N. (1963) “On Aims and Methods in Ethology,” Zeitschrift für Tierpsychologie, 20: 410–433. A cultural evolution approach to language suggests that genes encode weak prior biases that can be amplified through cultural transmission to produce strong language universals. Below is a diagram from Kirby, Dowman & Griffiths (2007). The link between biological predispositions and language structure, from Kirby, Dowman & Griffiths, 2007. A feature article in last week’s New Scientist asks why there is so much linguistic diversity present in the world, and what are the forces that drive it. The article reads like a who’s who of the growing field of language structure and social structure: Mark Pagel, Gary Lupyan, Quentin Atkinson, Robert Munroe, Carol and Melvin Ember, Dan Dediu and Robert Ladd, Stephen Levinson (click on the names to see some Replicated Typo articles about their work). This is practically as close as my subject will come to having a pull-out section in Vanity Fair. Furthermore, it recognises the weakening grip of Chomskyan linguistics. Commentators have already gotten hung-up on whether English became simplified before or after spreading, but this misses the impact of the article: There is an alternative approach to linguistics which looks at the differences between languages and recognises social factors as the primary source of linguistic change. Furthermore, these ideas are testable using statistics and genetic methods. It’s a pity the article didn’t mention the possibility of experimental approaches, including Gareth Roberts’ work on emerging linguistic diversity and work on cultural transmission using the Pictionary paradigm (Simon Garrod, Nick Fay, Bruno Gallantucci, see here and here). In the magazine section on the BBC news website today is a feature on wild parrots picking up phrases from domesticated birds. Wild parrots in Australia are apparently picking up phrases from escapee pet cockatoos who join their flocks. Why – and how – can some birds talk? Those strolling in Sydney’s parks are being startled by squawks of “Hello darling!” and “What’s happening?” from the trees. Wild birds such as galahs, sulphur-crested cockatoos and corellas are repeating phrases passed on by domesticated counterparts that escaped or were released, says naturalist Martyn Robinson, of Sydney’s Australian Museum. The museum has received numerous reports of talkative wild birds from startled members of the public. You can continue reading the article here http://www.bbc.co.uk/news/magazine-14930062. It talks a bit about how parrots can produce human like sounds but I posted the story here because I found it interesting that wild birds would pick up human phrases through social learning and wondered how far these phrases could go through a process of cultural transmission. It reminded me of this figure from Eva Jablonka and Marion J. Lamb’s book “Evolution in four dimensions: genetic, epigenetic, behavioral, and symbolic” inspired by a story by Spalding (1876). The story tells of Robinson Crusoe landing on his island and teaching 2 parrots the phrase “how do you do sir?”. He continues to teach the phrase to the offspring of these parrots for some generations. 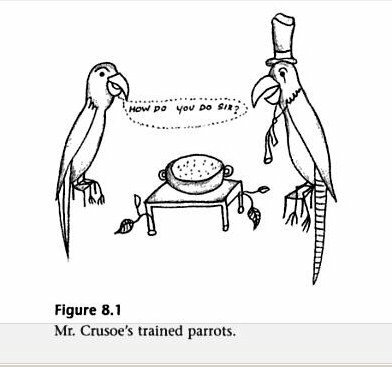 Crusoe then (because he’s on a dessert island and he’s bored) breeds the parrots who say “how do you do sir?” the best. After a while the young parrots start to repeat the phrase so early it is not known if it is learned behaviour or instinct. It is found to have become instinct because Crusoe selected for the best learners and the parrots will presumably continue this behaviour long after Crusoe has died. Spalding then hypothesises that should the parrots acquire a taste for good English this behaviour should continue to be selected through sexual selection. Taking figure 8.1 at face value it seems the parrots are also selected for fine taste in hats and ability to sit properly on chairs. Last week I attended a lecture by Liz Bradley on chaos. Chaos has been used to create variations on musical and dance sequences (Dabby, 2008; Bradley & Stuart, 1998). I was interested to see whether this technique could be iterated and applied to birdsong or other culturally transmitted systems. I present a model of creative cultural transmission based on this. Native North Island saddlebacks have developed such distinctive new songs in the past 50 years that it is not clear if birds on one island recognise what their neighbours are singing about, a Massey University study shows. The phenomenon is an avian equivalent of the way human language develops regional accents and dialects as people migrate and settle in new locations, and provides fresh insights into how species evolve, says biology researcher Dr Kevin Parker, from the Institute of Natural Sciences at Albany. I can’t find any published article but the press release is here. Interestingly, Atkinson seems to derive much of his thinking, at least in his choice of demographic variables, from work into the transmission of cultural artefacts (see here and here). For me, there are clear uses for these demographic models in testing hypotheses for linguistic transmission and change, as I see language as a cultural product. It appears Atkinson reached the same conclusion. Where we depart, however, is in our overall explanations of the data. My major problem with the claim is theoretical: he hasn’t ruled out other historical-evolutionary explanations for these patterns. Before we get into the bulk of my criticism, I’ll provide a very brief overview of the paper. A new paper in Current Biology, published today has revealed that the songs of Humpbacked Whales are passed through the ocean by mechanisms of cultural transmission. Cultural transmission is defined as the social learning of information or behaviours either over generations or via peers. It has been seen to occur in primates, cetaceans and birds. Cultural transmission over generations, i.e. parent passing socially learnt traits to their offspring, is known as vertical transmission and cultural transmission via peers, unrelated individuals from within generations, is known as horizontal transmission. In humans, languages and memes are transmitted, learned and (in a lot of cases) evolved in this manner. Male humpback whales have a repetitive and evolving ‘song’ which acts as a vocal sexual display. This song is highly repetitive and is used, by mechanisms of social sorting and attraction, to allow for sexual selection within the whale population. All males within a population are known to conform to the current version of the display (song type), and similarities have been seen to exist among the songs of populations within an ocean basin. The study being discussed presents very strong evidence for patterns of horizontal transmission, whereby song types spread unidirectionally and rapidly in the pacific ocean eastward through populations in the western and central South Pacific. The study was done over an 11-year period. This is the first documentation of a repeated, dynamic cultural evolution occurring across multiple populations at such a large geographic scale and across such a large time scale. The patterns of cultural transmission seen in these whales songs are analogous to the same mechanisms we see in humans given that the songs are subject to mistakes and changes which are replicated. This causes the same mechanisms we see in the cultural transmission of language. The authors note that the level and rate of change seen in the whales is unparalleled in any other nonhuman animal and involves culturally driven change at a vast scale. Investigating the underlying mechanisms of song evolution may yield powerful insights into the transmission of cultural traits and the evolution of culture and plasticity in sexually selected traits. They also observed that at least one of the song types was transmitted between two different ocean basins, the Indian and South Pacific Ocean. It’s amazing to think how far a single song type can be horizontally transmitted. Humpback whale song is unique among the animal kingdom due to the conformity to the current norm. This is coupled with high plasticity in the trait (ability to change their song based on whatever the new ‘norm’ is). Why both plasticity and conformity might be selected, how these interact with sexual selection, and how cultural evolution influences both are intriguing questions in need of consideration.